Wearing a navy chambray with modified BDU shirt and BDU pants. 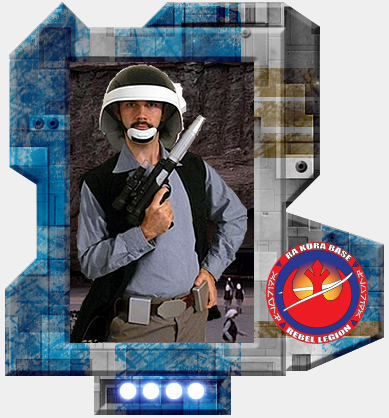 Blaster is a Nerf Rebel blaster that still can fire Nerf darts and was weathered. Helmet and belt boxes are a kit.